Looking for the best flea collars for cats in 2019? We've got you covered! Ready to save your cat from flea madness? Keep on reading! Bayer's flea collar is one of the main reasons flea collars are making a comeback. The broad insecticides imidacloprid and flumethrin kill current fleas within 24 hours and kill any new fleas who try to jump on within 2 hours. We like it because it is simple - no vials, no drops, and no wet messy blobs of fur on my cat. It lasts 8 months and has a auto release to prevent choking. A little expensive but definitely worth it for your cat. Also as a public service announcement. There are SO many knockoff "natural" essential oil based collars popping up. Most of them are run by non-experts looking to sell cheap collars that have little or no effect on your cat's fleas. Even more frightening is that some cats are EXTREMELY sensitive to essential oils as they lack the proper enzymes in their liver to breakdown when the chemicals as they're absorbed into their skin. Don't buy those unless you're on a REALLY tight budget and you have no other option. Seresto is a reputable brand that we can stand behind that DOES NOT use essential oils. The rest of the companies we keep seeing popup are constantly getting negative reviews and bad feedback from their customers. AVOID them, please and go with Bayer's Seresto Collar. Want to learn more about correct collar usage and about cat flea removal Keep reading! Dangers of fleas on cats? 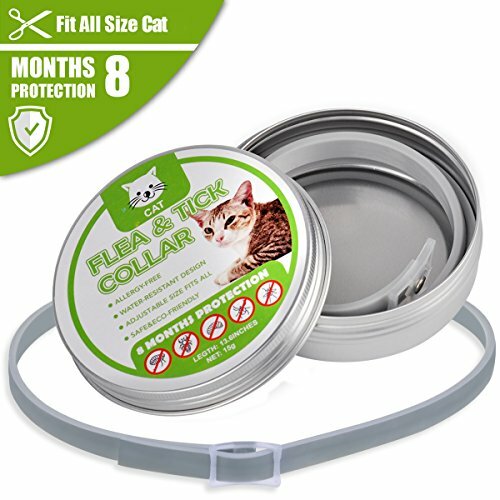 How do collars work for cats with fleas? How effective are flea collars for cats? How to get rid of cat fleas in you house? Are Flea collars safe for cats and humans? Short on time? 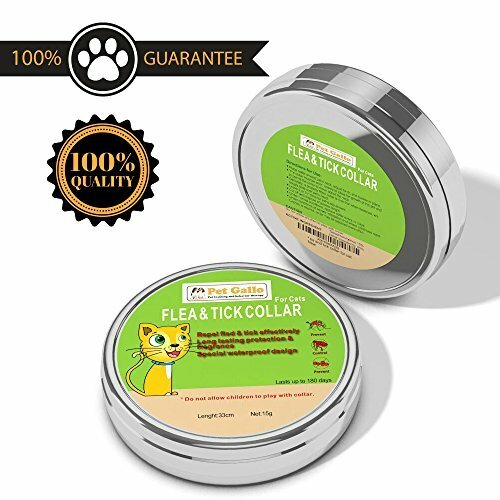 Check out below our top flea collar for cats of 2018. Continue reading if you want to learn more! We endure multiple escape attempts, flying water bombs, and the wrath of claws and teeth. Bathing your cat regularly is one of the most recommended tips to get rid of fleas. Unfortunately, it isn’t always practical or possible for me and my water-hating cat. A few cat owners are lucky to have cats who love water, and to them we say, “No fair!” for we have had to turn to other, more aggressive flea control methods. Flea collars were once the top choice to when dealing with cats with fleas, until the development of more powerful topical “spot-on” drop treatments. Some owners continue to use collars due to their lower cost, or for cats who have allergies or reactions to topical spot-on products. New formulations of flea collars are proving to be just as effective as other treatments and their popularity is growing. That being said... let's get into how to go about buying these collars. If you want to know about how to get rid of fleas overall, check out our other guide here. No one likes to see their cat suffering with fleas. The constant biting and scratching is unnerving for anyone. Not only are fleas an annoyance, your cat is at risk for serious health issues when these pests take control. Fleas are ectoparasites, which means they bite and feed off the blood of their host. If you don’t take the necessary action, your cat can get diseases and parasites such as anemia, tapeworms, cat flu, and flea allergy dermatitis. Read Also: How long do fleas live? ​We recommend checking for fleas on your cat on a regular basis so you can stop major outbreaks before they take hold. Cats are excellent groomers and may be able to hide the problem well. You should use a flea comb on your cat’s fur, check for dead fleas in bath water, and pay attention to behavior changes such as excessive licking or biting. Adult fleas leave behind small specs of dark-colored digested blood. Brush your cat over a white towel or large piece of paper to look for this “flea dirt.” Still unsure? If you add water to the specs, you will notice they turn red. It is important that you act quickly once you notice a flea problem on your cat. Flea collars may be a good, relatively low maintenance option for you to treat fleas on your cat, depending on the severity of your flea problem. Read Also: How do you know if your cat has fleas? The designs of collars vary depending on the formulation of the insecticide used. There are two primary types – solid and liquid. Solid: For the solid type, solid insecticide and resin are mixed so that as the collar wears away from rubbing against your cat’s skin and fur, the insecticide releases over time. Depending on the specific insecticide used, it either disperses across your cat’s skin or absorbs into the top layers. For the dispersion type, the flea only needs to contact the insecticide for it to take effect. For the absorption type, the flea needs to bite the skin. Liquid: The liquid insecticide preparation releases as a gas. 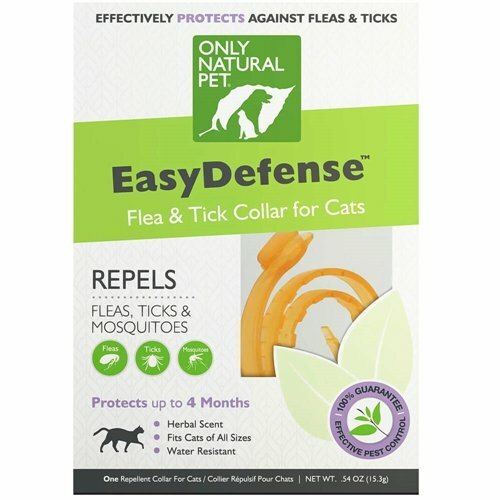 These are most effective for repelling fleas, but not killing them. Some ingredients, called adulticides, only kill adult fleas. Two examples are imidacloprid and fipronil. Insect Growth Regulators (IGRs) are hormones that render adult fleas, eggs, and larvae sterile so they can’t reproduce. Two examples of IGRs are pyriproxyfen and S-methoprene. They successfully end the life cycle of the fleas and help to control them over time. Some products combine adulticides with an IGR to reap the benefits of both – quick relief for your cat from bites and a way to avoid the spread of new fleas. A few flea collars can kill adults within 24 hours and last up to 8 months making them comparable to liquid drop treatments without the mess. One thing that can reduce a collar’s efficacy is getting it wet multiple times per week. Most collars are listed as “waterproof” so a monthly bath should be ok, but too many and the insecticide could wear off. If your cat plays in water, you may want to take the collar off, put it in a plastic bag, and replace it once your cat is dry again. The effectiveness of a flea collar is limited to your cat – not the eggs, larvae, and pupae in your carpet or in cracks of your wooden floor. IGRs can help some, but it will take a while for those take effect. No matter which type of flea collar you choose to use for your cat, it is critical that you use Integrated Pest Management (IPM) tactics to eliminate fleas. IPM promotes the use of a variety of approaches to kill or sterilize the fleas and eggs on your cat, in your home, in your yard, and on items such as pet bedding and linens. Vacuuming is one of the most advised techniques you can use to stop the spread of fleas. When larvae hatch, they eat eggs and flea dirt. Vacuuming at least once per day may help to reduce their food source so they won’t survive. You should also vacuum before you do any home treatments such as spraying or using a fogger. Vibrations and heat can cause pupae to hatch, which would leave them more vulnerable to the effects of the chemicals. Be sure to empty out the canister or bag away from your home so the fleas don’t jump out. Some people even put cut up pieces of flea collars in their canisters to kill the fleas they catch. Flea collars are generally considered safe for cats and humans, but you should take some precautions. Most flea collar labels clearly state “Do Not Allow Children to Play with Collar.” Some insecticides are more toxic to humans than others. If you handle a collar, you should wash your hands. You don’t need to be concerned with petting your cat while they are wearing a collar, just wash your hands after. Even if you were to ingest some of the insecticide, it would take a much larger amount to do any harm. To be on the safe side, just use some common sense. As with any product, even those considered safe, some cats will experience a negative reaction. If your cat has hair loss, sores, or redness around the neck, discontinue use and consult your veterinarian. There may be some discomfort in the first few hours as the fleas go through the dying process. Unfortunately, the fleas can still bite for a short time while the chemicals take effect. Using flea collars can be a good strategy for getting rid of fleas on cats. Here are a few of the top choices available on the market right now. This product is one of the main reasons flea collars are making a comeback. We like it because it is simple - no vials, no drops, and no wet messy blobs of fur on your cat. Other collars tend to lean on essential oils, which can be toxic to some cats in the wrong doses. This flea collar appears is a new addition to our list as it is gaining popularity as an alternative to the Seresto flea collar. Overall, we really like this collar as an alternative to the Seresto but again, we STRESS it is an essential oil based collar. You should monitor your cat very close after use. 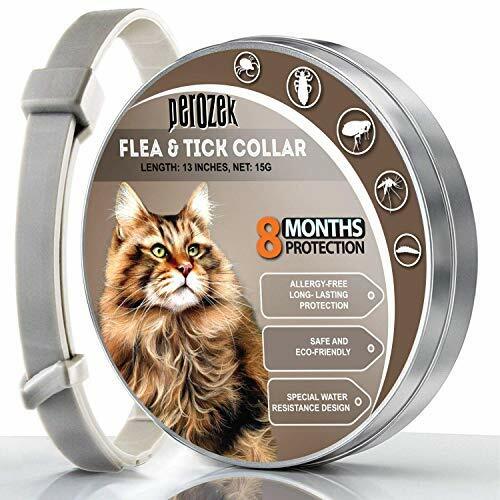 Another hypoallergenic collar we've seen come into the cat flea collar space. Overall, we don't love essential oil based collars, but could be a good option to try if the Seresto brand is out of your budget. This all-natural option is good if you want to avoid chemicals. I would choose this collar if I or my cat had skin sensitivities or if I wanted a non-toxic alternative. You will definitely need other products to get rid of a flea infestation, but it is a good option for prevention. This collar is similar to the Hartz collar with the same insecticide at a slightly larger amount. The cost is higher though and it doesn’t come with a safety release. This collar will work, but between the two, we would probably choose the Hartz. 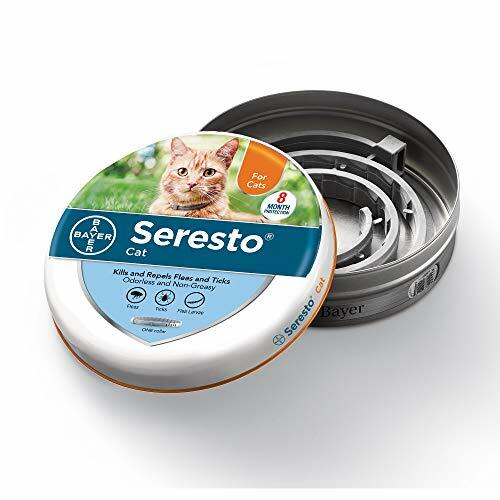 While there are several products available that are effective in killing fleas on cats, Bayer Seresto's collar is our top pick for a flea collar and may be my top pick of any topical product. The choice between spot-on treatment or the Bayer Seresto collar comes down to personal preference, and is not so much based on which one is more effective anymore. Bayer may be the better option for cats who don’t tolerate drops well, or who spend too much time trying to lick the solution. The Bayer collar has brought flea collars back into the mix as a strong option for quick flea elimination and long-term flea control. Alternatively, we also recommend checking out our trusted exterminator search tool. You enter in your location details and get a couple free quotes to knock our your problem quickly. Fleas aren't something to mess around with. If you feel the least bit uncomfortable handling pesticides and/or other chemicals around your pets, our recommendation is to use the tool, find a couple exterminators (they're all pre-qualified) and ask them your questions. Curious about other cat related products? Check out our other detailed guides to help you deal with your pest problems. Alternative to Seresto . I need 5 cat flea collars that contain 10% flumethrin and 4,5 % midaceoprid. Seresto is too much money for me as I am on soc sec. I have used the Hartz flea collars for years. Reading the negative comments(seizures, death) about side effects, I am worried. I also have 5 cats. Cost is a problem. Why do these things have to be so expensive?? When it comes to any flea drop or collar, every pet will react differently. It’s hard for anyone to be able to accurately predict what will happen to your pets come into contact with the chemicals. The best advice I can offer is to try one collar and keep a close watch on your pets until you know if they are having a reaction or not. As always, consult with your Vet before giving them anything!